In the highly competitive banking and finance industry, customers are increasingly looking for flexible ways of banking and investment. As a result, banks, building societies and financial investment groups operate 24 hours a day, seven days a week working to demanding schedules. Millions of financial transactions a day place a heavy reliance on the electronic infrastucture. Any unscheduled halt to this infrastructure caused by a fire, could have a dramatic affect on customer relationships and business continuity. To ensure that the banking and finance industry meet their delivery objectives, Gielle have developed a robust and reliable range of integrated fire, security and safety systems with a proven track record of use within this “Business Critical” industry. Factors like these, coupled with our ability to complete projects on time and every time, make us the perfect choice to bank on, for all your fire and safety requirements. For over 50 years, Gielle have been dedicated to providing specialist solutions in the design, testing, manufacture, installation. 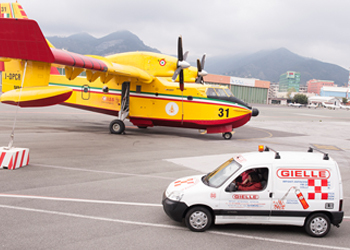 Gielle provide a wide range of Fire Detection and Alarm packages for both new build and upgrades to existing premises. 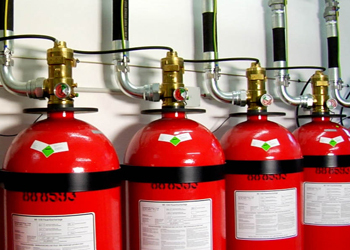 Gielle provide a comprehensive range of high quality, cost-effective fire extinguishers, hose reels, stands and cabinets that are designed. Gielle provide “Shell & Core Build” and “Fit-out” sprinkler packages to customers in over 17 different vertical markets to all international . 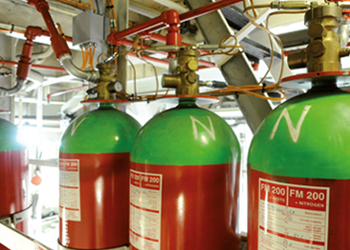 We are a leading inert and chemical gaseous fire suppression systems provider whose “track record” for providing “long term sustainable” gaseous fire suppression. Watermist is ideally suited to combat a wide variety of fires ranging from ordinary combustibles to even the most demanding hydrocarbon liquid.